Keeping a complete file of employment-related paperwork can be a chore, especially if you move around a lot or have experienced a major loss of personal effects. You may find yourself in a situation where you need to verify the amount of money you made in a prior year, but you no longer have your pay stubs or a W-2 that lists your aggregate pay from an employer for the year. Perhaps you never filed your federal income tax return or need to verify the income reported on your annual Social Security account summary. Fortunately, advances in electronic document storage and new standards for record-keeping that have been put in place by government agencies mean that it is fairly easy to obtain copies of personal official documents, including W-2s from prior years. In fact, electronic document retention has ensured that there are often multiple ways to obtain the same official document, all of which are designed to be convenient for the average person. One of the easiest ways to obtain a duplicate copy of a prior year's W-2 is to contact the employer that issued the document. The IRS requires all employers to maintain payroll records for at least three years. A savvy employer will maintain payroll records for at least six years to guard against the possibility that those records will be needed to defend against an ex-employee's civil suit or worker's compensation claim. An employer can face legal action relating to a prior employee's term of employment until the statute of limitations on viable claims runs out, which depends on the laws in each state and can span as many as 10 years. Further, certain states -- for example, California -- have codified the right of employees and ex-employees to inspect their payroll records upon a verbal or written request until the statute of limitations on any viable claim that could be made against the employer runs out. Any past employer that conforms to best practices and has an accounting, payroll or human resources department will likely have a copy of your W-2s, even if the year at issue is many years in the past. For larger companies, employee payroll records are stored electronically, so it is relatively easy for employers to keep your records indefinitely. A phone call or a written request to your ex-employer's human resources or payroll department should produce a prior year's W-2 in short order. If your ex-employer has gone out of business, does not keep good records or if you simply do not want to contact the company directly, you can always obtain your W-2 information for past years from the IRS. Your employer was required to send the IRS a copy of your W-2, so even if you did not file an income tax return for that year, the IRS has a record of your annual income and the payroll taxes that were deducted from that amount. There are two ways to obtain prior year W-2 information from the IRS. You can use IRS Form 4506-T, Request for Transcript of Tax Return, which can be downloaded from the IRS website and mailed in. In response to this form, the IRS will send you all of the information that was contained on the W-2 as a transcript but not an actual duplicate of the W-2 form. Alternatively, you can file Form 4506, Request for Copy of Tax Return. In response to this form, the IRS will send you a complete copy of your filed income tax return for the requested year, including the W-2. The IRS will provide these documents for free if you request them within six years of the date they were filed and the request is for a tax-related purpose. Another option to obtain prior years' W-2s is to request copies from the Social Security Administration. The SSA will send you a copy of a prior year W-2 for free if the request is related to an issue involving your Social Security account. Send IRS Form 4506, Request for Copy or Transcript of Tax Form, to the SSA instead of sending it to the IRS to initiate the request. If your request for copies does not involve a Social Security issue, there is a fee charged for each year. A local option for obtaining a copy of a prior year W-2 is to contact your state tax authority. 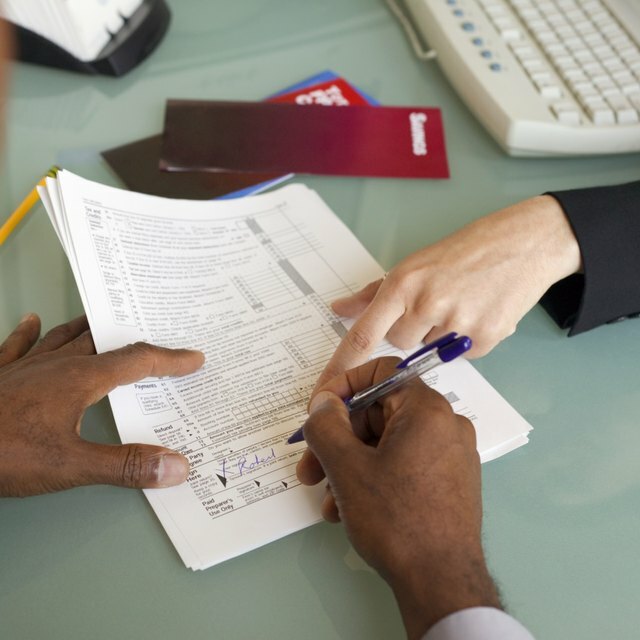 Each state that assesses an income tax maintains records of your tax filings for many years. Most states have a procedure to obtain copies of old state tax returns and W-2s that is likely described on the tax agency's website. For example, the California State Controller's Office maintains a Web page titled "Request a Duplicate Form W-2." The procedure involves downloading a request form, filing it out and submitting it with the appropriate fee for service. Most states have a similar procedure. The Legal Aid Society Employment Law Center: Personnel Files - What Types of Records Must Employers Keep?